Abrams Eye Institute (Las Vegas) - Book Appointment Online! 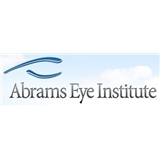 Founded in 2005 by Jack Abrams, M.D., Abrams Eye Institute provides the most advanced, comprehensive ophthalmologic services in Southern Nevada, giving the gift of improved vision. We are Southern Nevada's premier provider of ophthalmologic services, including LASIK surgery, cataract replacement, and treatment of all common eye disorders. Abrams Eye Institute is the first in the state to be certified for LensX a bladeless cataract surgery. We also specialize in Cornea and Refractive Surgery.